MethaMeasure Limited (MethaMeasure) is the provider of a computerised methadone dispensing system helping pharmacies, clinics and correctional facilities dispense methadone quickly, accurately and safely. 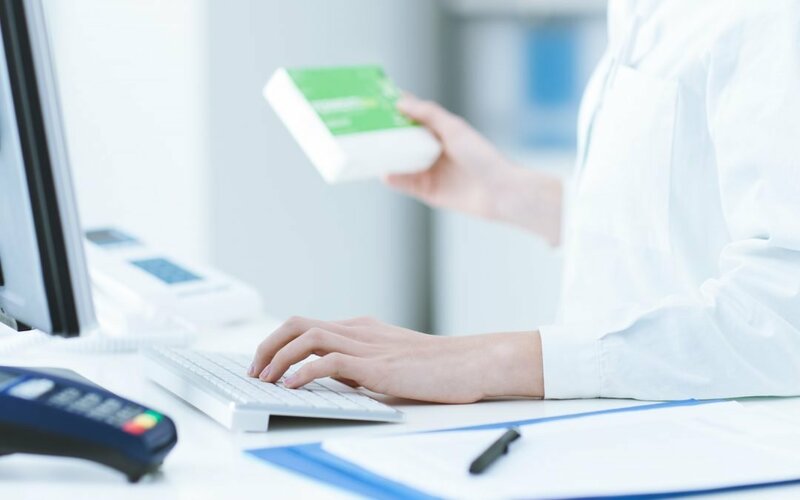 MethaMeasure required a software developer to provide support and ongoing development services for their dispensing and tracking solution and their Controlled Drug Register system (CDRx) (used by UK wide Pharmacy customers). They were also looking to re-develop these offerings adding features to satisfy consumer needs and provision a more flexible system. Pulsion Technology (Pulsion) were able to utilise their technical expertise and support capabilities to satisfy these requirements. Pulsion and MethaMeasure worked together to optimise these business-critical systems. Utilising Pulsion’s extensive experience of supporting and developing numerous customer core systems, CDRx was quickly and successfully ported to Amazon Web Services (AWS) secure hosted environment. Additionally, the software was added to Pulsion’s application repository to allow for auditable future development. The dispensing system was simplified from multiple product lines to one single version reducing software complexity and support overhead. This version can be tailored to the requirements of each client. As a result of hosting CDRx securely on AWS and has peace of mind in Pulsion’s ability to supervise the system. This also means that MethaMeasure can be flexible with the scalability of their operations, allowing them to increase/ decrease as required. Our local technical team offers improved accessibility and speed of implementation for updates and encourages a collaborative approach between MethaMeasure’s team and our skilled technical developers. Now that Pulsion has hosting and management control of CDRx and the Dispensing & Tracking application, the future development of both is being scoped and planned in a collaborative manner taking into account the individual needs of MethaMeasure’s existing and future clients. As MethaMeasure’s usage and growth expands, so the software requirements and underlying infrastructure (and team) grows and adapts with it. The partnership formed between Pulsion and MethaMeasure continues to improve and develop the MethaMeasure’s systems in order to support the business’ growth ambitions and the specific needs of its clients. Established in 1992, OneSearch Direct is the largest local search data company in the UK, providing property information and conveyancing search reports to solicitors nationwide. OneSearch Direct were one of the founding members of the Council of Property Search Organisation (CoPSO) and The Property Codes Compliance Board (PCCB) and have over 20 years’ industry expertise in property data searches. Pulsion has worked with OneSearch for over 15 years, providing a wide range of software development services, additional specialist technical resource and support and maintenance for their business critical systems. Pulsion act as an extension to OneSearch’s own internal IT team and compliment their IT activity as and when required. This relationship delivers considerable business benefit and return on investment. More than 15 years ago, OneSearch tendered for a technology partner to re-develop their existing certificate management system (CMS) – their database of property search certificates. CMS managed the process of gathering all the relevant property and land information required during the course of a property sale and was fundamental to the success of their business. In order for OneSearch to remain competitive and deliver a valued service, continual development and support of the system was important. OneSearch recognised that a specialist technology partner would be required to recommend the best development approach and support the application on an ongoing basis. After working with OneSearch to develop an understanding of their core business objectives, needs and wants for CMS, Pulsion were able to deliver their recommendations for the CMS development project. Pulsion was able to illustrate their depth of technical expertise in software development, their flexible support and maintenance offering and their ability to deliver on time and to budget. Based on this, their proposal was successful. After the re-development of CMS was completed, Pulsion provided ongoing development, support and maintenance of the system. Extending the partnership Over time, OneSearch recognised that peaks and troughs in IT project activity was becoming a challenge to manage internally. They were also keen to have access to a wider range of technical skills that could compliment their in-house IT team, especially when considering future developments for their CMS database. Having a technical resource that OneSearch could call upon as projects dictate would address the challenge of fluctuating demands and make available a wider variety of technical skills. Consequently, OneSearch would not have to undergo a lengthy recruitment process to find their own full time employees, train them and keep them occupied with an interesting, challenging and very often changeable work load. As Pulsion were already a trusted provider of software development and support and maintenance services, and could point to a successful track record of delivery and technology innovation, they were in a prime position to be able to extend their support services to include OneSearch’s further technical requirements. OneSearch now work collaboratively with Pulsion’s support and software development team as if they were an extension to their own in-house IT department. Pulsion was able to offer OneSearch the flexibility of having additional technical resource available to call upon at short notice as demands or skills requirements dictates. Working alongside OneSearch’s own in-house IT department ensured the continuity of service during fluctuations in demand and offers a wider range of technical expertise than existed in-house. Pulsion’s software development team offer advice and guidance around the continual development of CMS to take advantage of technology changes, efficiencies in operation and reduction in system costs. The continuation of the support and maintenance service provides OneSearch with access to Pulsion’s Helpdesk where they can report issues via the telephone, email or web-based issue tracking system. This ensures that contracted Service Level Agreements (SLAs) are being met and OneSearch are updated with the progress of any reported issues at each stage. OneSearch has come to rely upon Pulsion’s expertise and flexible approach. The working relationship and cultural compatibility that has developed means that OneSearch and Pulsion both fully understand each other’s businesses and capabilities – this creates a productive platform for planning future business and technology changes. The partnership between OneSearch and Pulsion has delivered the following benefits; • OneSearch’s CMS solution was migrated away from a desktop based application to a web solution saving them considerable infrastructure cost overall. They have also taken advantage of Pulsion’s expertise in understanding advanced technologies and how they can solve business problems and create efficiency. In many cases, Pulsion has been able to automate repetitive manual jobs, shortening the amount of time spent on a task. Having Pulsion on hand to support IT projects and provide alternative skills and experience has meant that OneSearch can avoid the cost of recruiting, training and retaining full time in-house IT staff and take advantage of the skills pool available as and when required. OneSearch can also enjoy the peace of mind that their business critical system, CMS, is in safe hands with Pulsion’s support and maintenance service. As well as supporting CMS, OneSearch and Pulsion continue to work together to help improve their business processes, product offering and compliance/legal changes and are always on the lookout for containing costs and improving efficiency. The SPPA partners with Pulsion Technology to develop a software solution to administer the pensions of the NHSS and Scottish Teachers Superannuation Scheme. The resulting solution ‘MyPension’ was regarded as a great success with its user community with high levels of user satisfaction. MyPensions Transformed at Scottish Public Pensions Agency Scottish Public Pensions Agency (SPPA) The Scottish Public Pensions Agency (SPPA) is an agency of the Scottish Government. Its principal role is to administer the pensions of the National Health Service in Scotland (NHSS) and members of the Scottish Teachers’ Superannuation Scheme (STSS). When the SPPA was looking at ways to streamline its business processes to become more efficient and cost effective, it chose Pulsion Technology as the IT development partner. This partnership not only resulted in the SPPA achieving a more streamlined business model but transformed the way in which members and pensioners viewed and managed their pensions. When the SPPA first met with Pulsion Technology, it was unsure as to what solution would make the maximum impact on the organisation. After taking the time to understand the SPPA’s business model, strategy and key objectives, Pulsion proposed that the creation of a secure web based case management system where members and pensioners could access their information simply and securely would be the best approach, allowing the SPPA to stream-line processes for service delivery whilst reducing overheads both within the Agency and for Employers. The SPPA requested a two-phased approach to the creation of these services, firstly with the development of a member secure system followed by the creation of a pensioner system. Before the member system was set up, 220,000 members received a paper annual benefit statement which provided them with information regarding their pension benefits. The benefit statements were generated by the pension administration system, printed and couriered to employers to dispatch to members. Following the look and feel of the existing SPPA website, the main aim of the member system was to create a secure web based portal that members could access via an authenticated password system. After logging in, members would be able to view their current benefit statement online and build up a benefit statement history. This would drive down the costs for the SPPA and Employers. Previous to the pensioner system, 140,000 pensioners received a standard two payslips, P60 and an annual percentage increase letter each year. These items were generated from the payroll system, printed and sent to the pensioner at their home address. The purpose of a pensioner system was to cut production costs and allow pensioners to manage their own documents online. Pensioners would be able to log into a secure web based portal, via an authenticated password system, and view their payslips, P60’s and annual percentage letters online with the facility for a service history to be built up as time progressed. It was important that the new page was easy to use and understand and that the look and feel was congruent with the existing SPPA website. Pulsion Technology created the MyPension system for both members and pensioners utilising ASP.NET technology. Having a system that allows users to view, download and print their pension details via a secure website has completely revolutionised how the SPPA operates as well as dramatically improving the customer experience. The SPPA are currently in the early stages of changing the way it provides information to the scheme members. It is hoped that as the number of people signed up to the online system increases so too will the savings for the SPPA. Following the success of both the member system and the pensioner system, Pulsion Technology and the SPPA partnered again to develop the employer system. The SPPA collects pension contributions from 1,150 participating employers for the Scottish Teachers and NHS Superannuation Schemes. Each employer advises the Agency of contributions due and pays on a monthly basis. Before the Employer system was developed, employers would send in contribution data in spreadsheets via email on a monthly basis. This was a time consuming, inefficient process which frequently caused errors and delays in processing, leading to inaccurate accounting records. As with the member system and pensioner system before it, Pulsion developed a secure web based portal that employers could access via an authenticated password system. Employers could enter their contribution information via the portal www.pulsion.co.uk 0141 352 2280 info@pulsion.co.uk Case Study and the information would be transferred directly to the Agency’s income collection system, reducing the risk of error and delay. “We found Pulsion staff very professional and the company easy to deal with throughout our project. Our intention was to create a user interface which our customers would find easy to use; the results of the customer survey carried out show that this is what was delivered. From a business perspective, the web service is proving excellent value for money and we look forward to continuing to work with Pulsion as the project develops”. The Refugee Council partners with Pulsion Technology to develop an effective case management solution driving efficiency, productivity and reducing the number of legacy asylum cases. Creating Synergy at the Refugee Council Refugee Council The Refugee Council is one of the United Kingdom’s leading charities working with refugees and asylum seekers. The organisation gives refugees a voice, using its direct work as an evidence base. The Refugee Council collaborates with a range of partners to ensure it can offer the best support possible. In the UK there are three national refugee councils, one operating in Scotland, one in England and one in Wales. Although IT systems had been in place for a number of years, they weren’t flexible enough to meet growing demands, targets and increased reporting requirements. Each of the three national Refugee Councils utilised its own system to record data on refugees and had its own procedures in place for how that data should be recorded and processed. Working in this way meant it was very difficult and time consuming to share information between each organisation. The Government was facing increasing pressures to reduce the backlog of legacy asylum cases and to speed up asylum processing. In order to achieve this, The Refugee Council had to become more streamlined and efficient. It was vital to engage with an IT partner who could develop a system that would allow all three bodies to share information and to record refugee data in a more efficient manner. Following a competitive tendering process, Pulsion Technology was awarded a contract to provide a pilot Joint Client Database solution, known as JCDB, to the UK’s three national Refugee Councils as a pilot project. This would allow the Refugee Council to establish its requirements and to test the system with a small section of its users. Following the success of this pilot scheme, Pulsion was asked to extend the system for rollout across all the English, Scottish and Welsh Refugee Councils. Using Microsoft ASP.NET and SQL Server technologies, Pulsion created a case management system to enable the Refugee Council to process applications from asylum seekers and to give help and advice to refugees. This single case management system was used for the whole organisation, creating efficiencies and synergies that previously were impossible. • Backlogs of legacy asylum cases were reduced.